My community is among those in Appalachia, Ohio, and Pennsylvania hit hard by opioid abuse. The emergency medical technicians tell me they get from one to three overdose calls daily. Rarely does a month go by without a funeral for some young or middle-aged man, or occasionally a woman, who died of an overdose of heroin, fentanyl, carfentanil, or some such. The deaths mystify in their own way: Not because there is doubt about the overdose, but because the addict’s history is so miserable that no one is really sure whether the overdose was accidental or deliberate. As the local pastor, it’s often my gruesome blessing to sit down with affected parents and hear their story. A lot of the stories follow a similar line. They begin with frustration with the drug user, who gets high at times or in ways that irritate friends and family. If folks did not at first suspect opioid use, now they do suspect it, or know it. Money mysteriously disappears. Angry confrontations occur. Maybe the user is locked out of the house. Police respond to complaints about public intoxication, or paramedics respond to an overdose call. The user flirts with death. Perhaps the user attempts rehabilitation. Sometimes that’s successful, and the user enters into extended or permanent recovery. But sometimes he leaves the program a few days later, and the downward spiral continues. The user robs the homes of parents or other family members. The family agonizes over whether they can help the user by pressing charges and sending him to jail, or whether he stands a better chance of recovery while at liberty. I’d like to think that the pro-life movement at its best represents this last kind of cathartic appeal—not to a drug addict, but to our country. For forty-five years now, we’ve been flirting with a culture of death. How much longer can we last before the logic of abortion, the legally tolerated elimination of inconvenient persons, pervades every aspect of our society? The obvious example is our jurisprudence. As I write, the journalists and social media have been whipped up by the nomination of a judge to the Supreme Court of the United States. Pro-choicers fret that if confirmed, the new Justice might secure a majority of the Court in the overturning of Roe v. Wade, thus returning abortion law to the several states, some of which would likely ban abortion or more sharply regulate it. I’m inclined to believe a healthier regime would promote judges on the basis of arcane legal theories and exquisite legal expertise, so this political frenzy signals a society sickened by its perceived need for abortion. But jurisprudence is not the only example. 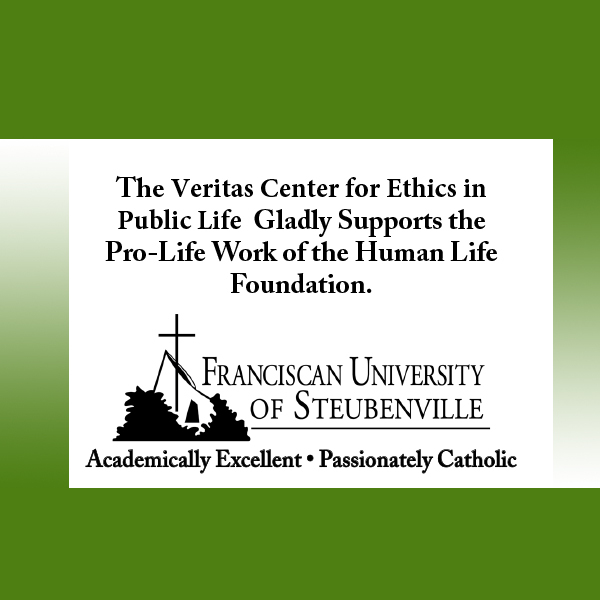 • Abortion as freedom from the burden of other human beings leads logically to euthanasia and the perception of the elderly as a waste of effort and resources. • Abortion as a zone of privacy immune to rational regulation invites “sweet mystery” thinking. We now pretend we don’t understand the purposes of human sexuality or the human vocation to love. • Abortion as the separation of the decision to copulate from the decision to reproduce tends to make the female body obsolete. Though it was intricately designed (“evolved,” if you prefer) to nurture life, it must now be artificially reshaped to optimize male sexual excitement rather than effective childrearing. • Allegedly absolute sovereignty of parents over whether even to remain parents objectifies the child, invites “designer babies,” and introduces a new way for the rich and the powerful to oppress the poor and the weak. “Stop, please stop! Abortion pure and simple might be a semi-private choice, in the tragic way some people do evil that good may come of it. But the decision to legalize abortion is broadly public, a gaping, society-wide wound in our legal order. You think you’re making a private decision, but you’re hurting everyone. “Stop, please stop! Children can be burdensome, but we now enjoy so much greater capacity to feed, house, and otherwise care for people than we did a hundred or even fifty years ago. Churches and charities are eager to help. Couples around the country are lined up to assist or adopt. No one needs to die from neglect. Everyone at some point in life is vulnerable. We all need the protection of the law and the support of the community. “Stop, please stop! You were not born to make a series of lifestyle choices, impress other people, then get old and ugly, and die. You were born to receive the love of others, to return that love to them and to love still more, and thus to partake of the building of a civilization of love and peace. Don’t talk or legislate about children as if they were threats or impediments to the good life. Instead, think of them as more guests in our ever-widening circle of friends and family. 341 people have visited this page. 1 have visited this page today.